On the way back from Pulborough, we had a quick stop off at Canons Farm in Surrey as a pair of Whinchat had been reported and Stuart was still on the lookout for some. They weren't around when we got there but we had a lovely walk around, seeing 18 species. There were plenty of Stock Dove in the fields and Linnet flying overhead. 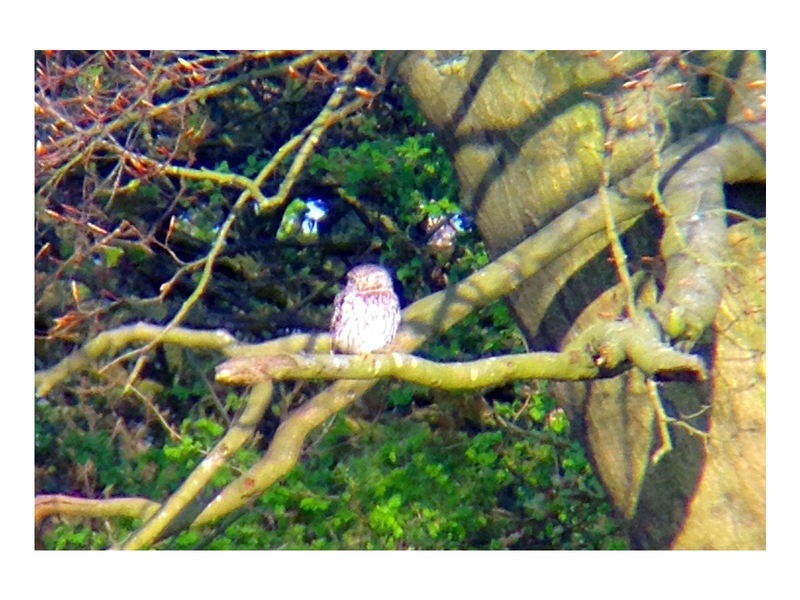 We also got a new one for the year, Little Owl. Unfortunately my only picture just shows a white blob, but you get the gist. I didn't spend ages trying to make this a Ring Ouzel. Honest.